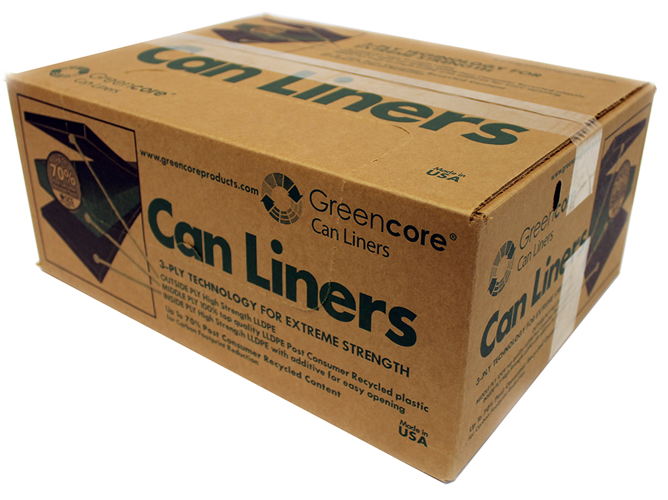 Keep your shop "green" with Greencore® Can Liners, made with up to 70% post-consumer recycled plastics. These sturdy bags are guaranteed for quality and durability yet cost no more than traditional bags. Industrial draw tape can liners also available! More industrial can liners can be found here. 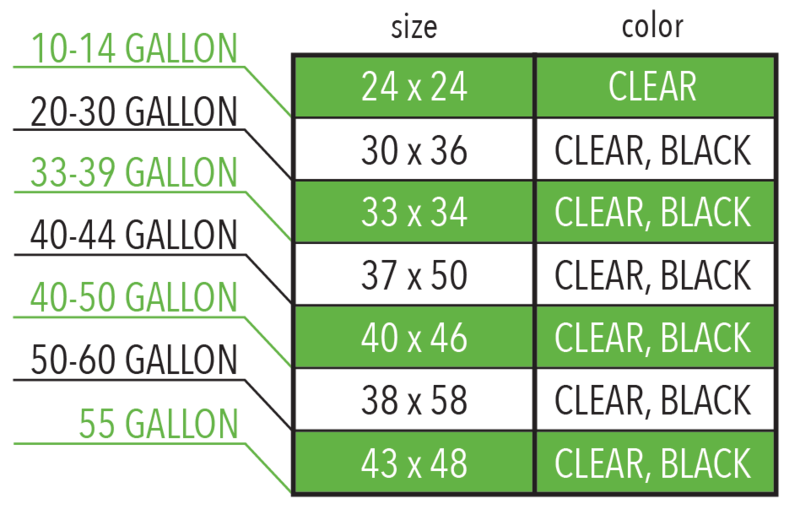 Most can liners are packaged 70 cases/skid.